Your website is the worldwide face of your business. Does your website accurately depict the level of service your provide? Do visitors keep coming back for more? Do you have brand ambassadors? It’s time to give your site a little TLC before 2015. These are compelling facts, however, the true value of a website is more than skin deep. Your website should be an engine, a virtual workhorse revving up sales. Sometimes you’ve got to pop the hood and examine, troubleshoot and repair. Let us give you 5 ways to improve your website. We even have some advice from our friends over at Graphic Moxie here in Wilmington, NC. customers, you’ve lost more than half of the opportunities for new business right off the bat. Responsive web design (RWD) approach that suggests that design and development should respond to the user’s behavior and environment based on screen size, platform and orientation.Soon responsive design will be standard for all website construction. 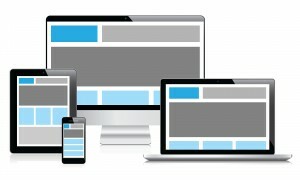 Get ahead while you still can!What is Responsive Design? If you’re planning on growing your business, you need to know how visitors are behaving on your website. There are a few tools out there, however we recommend the robust tools in Google Analytics. This will help you fine-tune the flow of visitors throughout your site. Another good tool, Crazy Egg, shows a heat map of your site and details exactly where users are clicking. Gathering these facts and figures will enable you to create effective pages and, ultimately, higher sales. Once you’re setup, you may find yourself delving into your site metrics every day…if not, we recommend that you check them out monthly. For most consumers, the overall benefit of the Internet is “convenience.” Unlike print catalogs or traditional marketing, online, you need to get to the point quickly and use bigger type. Visitors are coming to you to solve their problem, so your website should answer their question quickly and easily. Just like retail stores who change-up their window display, you have to mix it up. 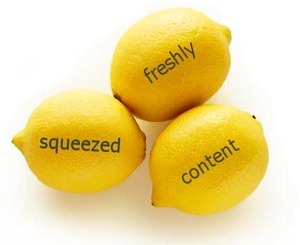 Whether it’s fresh images, a seasonal themed update, or juicy blog posts—don’t get stale. By developing new content on a regular basis, you’re giving brand ambassadors a chance to share your great work. Sharing is caring, especially when it comes to SEO. If you have a complex web of offerings that are scattered around your site, you’re missing out. Use layered landing pages to allow visitors to drill down into categories and find a specific product/service. Also using a powerful search feature, you can eliminate the guesswork all together. Recommendations vary, but most agree that every 2-3 years you should consider updating the design of your website. But, you should also be making tweaks to the website throughout the year – offer new information, update pictures, and add any new products, services, or staff members – this is simple, routine maintenance. Now that we’ve convinced you (hopefully) to freshen up your website. What’s next? 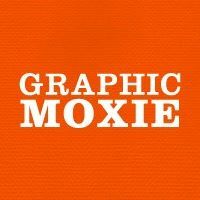 Our local expert, Brian Brueck (President and Founder of Graphic Moxie) weighs in on what to expect when working with a web design firm. “A well-designed and developed site is to be expected as the end product but a well thought out strategy drives this outcome. Often times a potential client knows they need a website but they haven’t thought about its goals, nor do they realize the complexities of branding and web development. We serve as a business partner, sounding board and consultant to help shape, not only the website design, but the brand integrity and purpose of the site as a marketing tool. Thanks Brian! We agree. Remember to stay on top of trends, monitor your results, change your site accordingly, and enable sharing. All these steps will keep you ahead of the competition.